It looks like the speculation of a third money in the bank match isn’t going to see anything in the way of actually happening this year. Dave Meltzer noted in the Wrestling Observer Newsletter that the idea of a third Money In The Bank ladder match is not going to take place. 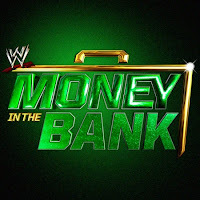 There was a belief that WWE would be holding a tag team MITB ladder match which was made even stronger because they interviewed guys like Breezango and The Ascension during the first Raw building toward Money In The Bank where they said that they would win a briefcase.